With Reagan Consulting on your side, you will enjoy the experience, energy and creative thinking of some of the industry’s sharpest and most trusted consultants. Our partners and associates come with a variety of talents but a unified purpose: to be a trusted advisor to our clients. Our seven partners alone represent over 125 years of experience in advising the insurance distribution market. Bobby Reagan brings more than three decades of insurance industry experience to the company that bears his name. 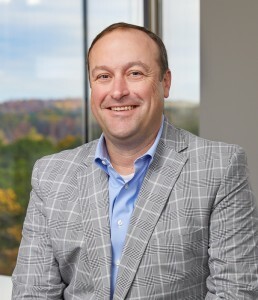 After graduating with high honors from the University of Tennessee, where he earned BS and MS degrees in Industrial Engineering, Bobby joined a Southeastern regional insurance brokerage firm as a commercial property and casualty producer. During his 10 years with the firm, he served in regularly ascending capacities, including COO. Bobby received his CPCU designation in 1980. In 1984, he joined the consulting firm of Hales & Associates and, the following year, opened its Atlanta office. Two years later, in 1987, he became president of the firm and, in 1992, was elected Chairman and CEO. In April 1995, Hales & Associates underwent reorganization, and Reagan Consulting was formed as a result. Bobby’s expertise and integrity have ensured his reputation as a true authority within the insurance industry. He has been a thought leader as evidenced by his creation of the Best Practices Study and his leading and taking an active role in the numerous research studies initiated and performed by Reagan Consulting. He has consulted with many of the country’s most successful insurance agents and brokers, and worked with many leading financial institutions on their insurance initiatives. He has led strategic planning initiatives for agents and brokers, leading industry associations and insurance carriers. He has been recognized as an industry expert in Federal and state courts throughout the US. He is also in consistent demand as a speaker and author, with speeches delivered to more than 100 insurance industry groups and associations, and articles published in the majority of the industry’s trade publications. Bobby currently maintains the Series 63 and 79 FINRA Registrations through Reagan Securities, Inc., the affiliated FINRA-registered Broker/Dealer of Reagan Consulting, Inc.
Kevin Stipe has been with Reagan Consulting since its founding, and is a partner and President of the firm. He offers our clients expertise in financial consulting in mergers & acquisitions (representing both buyers and sellers), agency valuation, value enhancement strategies, ownership perpetuation planning, strategic planning, and executive compensation benchmarking and design. Prior to Reagan, Kevin was a consultant with its predecessor Hales and Associates, after working as a currency trader for Citicorp’s North American Investment Bank in New York, and later for Wachovia Bank in Atlanta. Kevin is a frequent keynote speaker at insurance industry events and has built a reputation as an effective strategic planning facilitator. An avid student of the insurance distribution system, Kevin is a regular contributor to Reagan Consulting’s extensive knowledge resources, having helped author Reagan’s Private Ownership Study, Producer Recruiting & Development Study, the Study of the Industry’s Top Sales Organizations and the Agency Leadership Series. Kevin was a 1995 CPCU designee, and holds an Economics degree from Auburn University. He currently maintains the Series 24, 63, and 79 FINRA Registrations through Reagan Securities, Inc., the affiliated FINRA-registered Broker/Dealer of Reagan Consulting, Inc.
Tom Doran has been with Reagan Consulting since its founding and is a partner of the firm. Tom’s areas of expertise include merger and acquisition representation, agency valuation, ownership perpetuation planning, agency valuation enhancement and strategic planning facilitation. 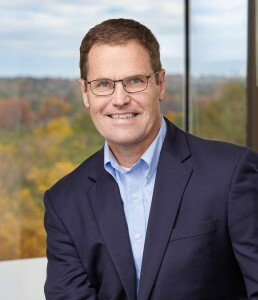 Before joining Reagan Consulting, Tom was a consultant with Hales and Associates, and worked in the computer industry, both as a software developer and as a management consultant. Tom is a regular contributor to Reagan Consulting’s industry studies and is frequently published in various insurance industry publications. He also speaks on a regular basis to industry trade groups and associations on a wide variety of topics concerning the insurance distribution system. Tom is a Certified Valuation Analyst (CVA) with an undergraduate degree in Computer Information Systems and an MBA from Georgia State University. He currently maintains the Series 63 and 79 FINRA Registrations through Reagan Securities, Inc., the affiliated FINRA-registered Broker/Dealer of Reagan Consulting, Inc.
Jim Campbell has been a partner in the firm since 1998 and focuses primarily on providing clients with expertise in the areas of mergers and acquisitions (representing both buyers and sellers), agency valuation and value enhancement. Jim is also the leader of Reagan Consulting’s Bank-Insurance Advisory Practice, assisting banks with all aspects of developing and executing successful insurance strategies. 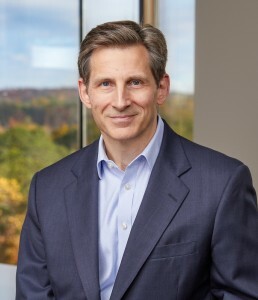 Previously, Jim was a Senior Manager in the Financial Services Consulting Group of Deloitte where he directed strategy development, acquisition and profitability enhancement initiatives for leading financial institutions and private equity firms. Before joining Deloitte, Jim was an assistant vice president in the Investment Management Division of SunTrust Bank. Jim is a frequent contributor to industry publications as well as a frequent speaker for industry associations. He is also the author of the Study of Banks in Insurance published by the American Bankers Insurance Association. Jim earned his BS from Georgia Tech and his MBA from Georgia State University. 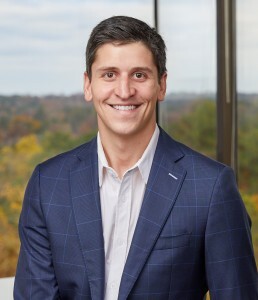 He currently maintains the Series 63 and 79 FINRA Registrations through Reagan Securities, Inc., the affiliated FINRA-registered Broker/Dealer of Reagan Consulting, Inc.
Brian Deitz joined Reagan Consulting in 2006 and is a partner of the firm. Brian’s primary areas of expertise are mergers & acquisitions and agency valuations. Prior to joining Reagan, Brian spent over four years working in mergers and acquisitions for The Home Depot, leading valuation exercises and due diligence processes. Prior to his tenure at The Home Depot, Brian worked in investment banking for Deutsche Banc Alex. Brown in Baltimore, MD. Brian is a Certified Valuation Analyst (CVA) and he graduated from the University of Virginia with an undergraduate degree in Commerce, concentrating in Finance and Marketing. 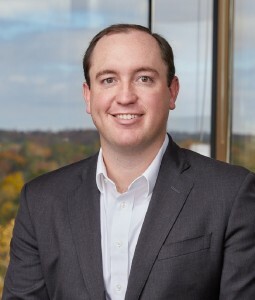 He currently maintains the Series 24, 63, and 79 FINRA Registrations through Reagan Securities, Inc., the affiliated FINRA-registered Broker/Dealer of Reagan Consulting, Inc.
Brian McNeely joined Reagan Consulting in 2007 and is a partner of the firm. Brian primarily works with clients on mergers & acquisitions, agency valuations and strategic consulting projects. Prior to joining Reagan, Brian spent approximately five years at The Home Depot in roles of increasing responsibility. Most recently, Brian focused on mergers and acquisitions, participating in due diligence exercises, performing financial and strategic analyses and leading acquisition integrations. Prior to The Home Depot, Brian was an auditor with Arthur Andersen, LLP. Brian is a Certified Valuation Analyst (CVA) and obtained his undergraduate degree and Master of Accountancy degree from Auburn University. Brian currently maintains the Series 63 and 79 FINRA Registrations through Reagan Securities, Inc., the affiliated FINRA-registered Broker/Dealer of Reagan Consulting, Inc.
Harrison Brooks joined Reagan Consulting in 2015 and is a partner of the firm. Harrison primarily works with clients on mergers & acquisitions, agency valuation and strategic consulting projects. Prior to joining Reagan, Harrison spent two years at the private equity firm, Carousel Capital, acquiring business and consumer services companies. He was responsible for leading valuation exercises and executing due diligence processes. He also worked closely with management teams on strategic planning and value creation initiatives. Harrison began his career in investment banking with Edgeview Partners (now Piper Jaffray). During his tenure in mergers and acquisitions, he completed numerous buy and sell side transactions. 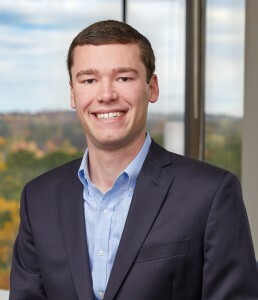 Harrison is a Certified Valuation Analyst (CVA) and he graduated from the University of North Carolina at Chapel Hill with a Business Administration degree from the Kenan-Flagler Business School. 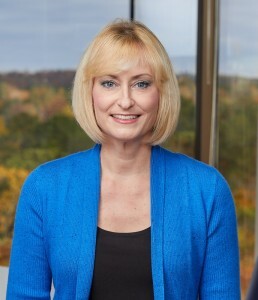 He currently maintains the Series 63 and 79 FINRA Registrations through Reagan Securities, Inc., the affiliated FINRA-registered Broker/Dealer of Reagan Consulting, Inc.
Michelle joined Reagan Consulting in 2001 as an executive administrative assistant and now serves as research coordinator. Through the years, she has coordinated multiple studies for Reagan and currently focuses on the Best Practices Study and the quarterly Organic Growth & Profitability Survey. Prior to joining Reagan, Michelle worked more than six years for a leading Atlanta computer software training firm. Mark Crites joined Reagan Consulting in 2017 and is a Vice President of the firm. Mark primarily works with clients on mergers & acquisitions, agency valuation and strategic consulting projects. Prior to joining Reagan, Mark spent two years at the private equity firm, MSouth Equity Partners, acquiring middle market companies in the business services, media & telecom, specialty distribution, manufacturing and healthcare sectors. He was responsible for leading valuation exercises and executing due diligence processes. He also worked closely with management teams on strategic planning and value creation initiatives. Mark began his career in investment banking with Raymond James & Associates where he focused on sell-side M&A and capital raising transactions for middle market companies. 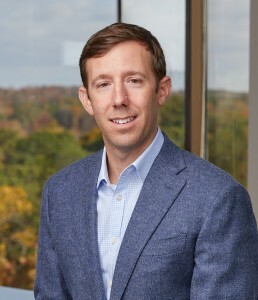 Mark is a Certified Valuation Analyst (CVA) and a graduate of the University of Georgia Terry College of Business where he received his B.B.A. in Finance and Risk Management & Insurance. 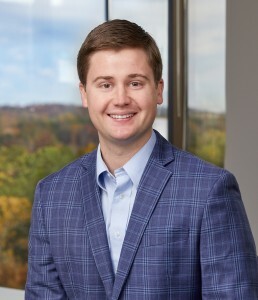 Mitchell Gentry joined Reagan Consulting in 2018 and is an Associate of the firm. Mitchell primarily works with clients on mergers & acquisitions, agency valuation and strategic consulting projects. 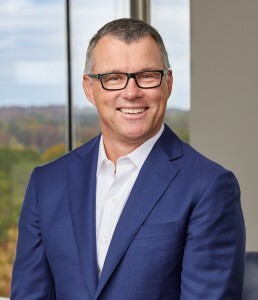 Prior to joining Reagan, Mitchell spent two years in investment banking with Jefferies in Charlotte, NC, where he focused on sell-side M&A transactions in addition to debt and equity financings for consumer and retail companies. Mitchell graduated from the University of Virginia with an undergraduate degree in Commerce, concentrating in Accounting and Finance. He currently maintains the Series 63 and 79 FINRA Registrations through Reagan Securities, Inc., the affiliated FINRA-registered Broker/Dealer of Reagan Consulting, Inc.
John Merrill joined Reagan Consulting in 2018 as a Vice President of the firm. John primarily works with clients on mergers & acquisitions (with a focus on financial due diligence), agency valuation and financial consulting. 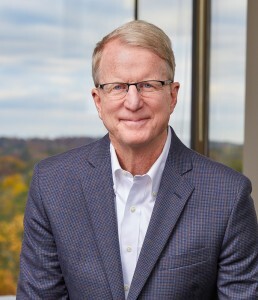 Prior to joining Reagan, John spent three years at PricewaterhouseCoopers, where he provided buy-side and sell-side advisory services (focused on financial due diligence) to private equity and corporate clients primarily in the technology, healthcare, aerospace and energy industries with transactions including public and private acquisitions and divestitures, public company carve-outs, cross-border acquisitions, joint ventures and minority investments. He was responsible for managing the execution of due diligence, including overseeing staff and leading due diligence meetings with key stakeholders. John began his career in audit with KPMG where he focused on financial statement audits of public and private companies primarily in the financial services and technology industries. John is a licensed Certified Public Accountant (CPA) in Georgia and obtained his undergraduate and Master of Accountancy degrees from Auburn University. He is a member of the American Institute of Certified Public Accountants (AICPA).